“The Prayer Driven Life”, using Paul’s prayers as a backdrop, explores questions that many have about prayer. What is prayer? Why do we pray? How do we pray? What difference does prayer make in my life? Although prayer is a common topic within the Christian market, focus on Paul’s prayers is unique. Some exciting truths are discovered in the exploration of Paul’s prayers, both in general categories and in the context of his letters. Having taught application of these principles in several different settings, Stephanie has discovered that the excitement about what God has to say through Paul’s prayers is contagious. Many of the attendees in these settings have remarked that the study made a real impact in their prayer lives. Stephanie writes in an easy reading style with an emphasis on personal reflection and application. An allegory sets the stage for the book and draws it to its conclusion. Expanded illustrations throughout the book help the reader see God as an intimate Heavenly Father who loves each of His children with an everlasting love. 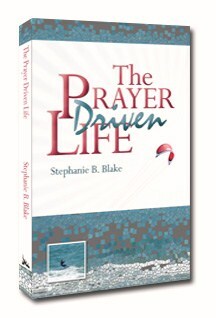 Anyone who wants to grow in his own personal prayer life would benefit from “The Prayer Driven Life”. The book is designed for either personal or group study. Questions for reflection at the end of the chapters promote discussion among a Bible study group. 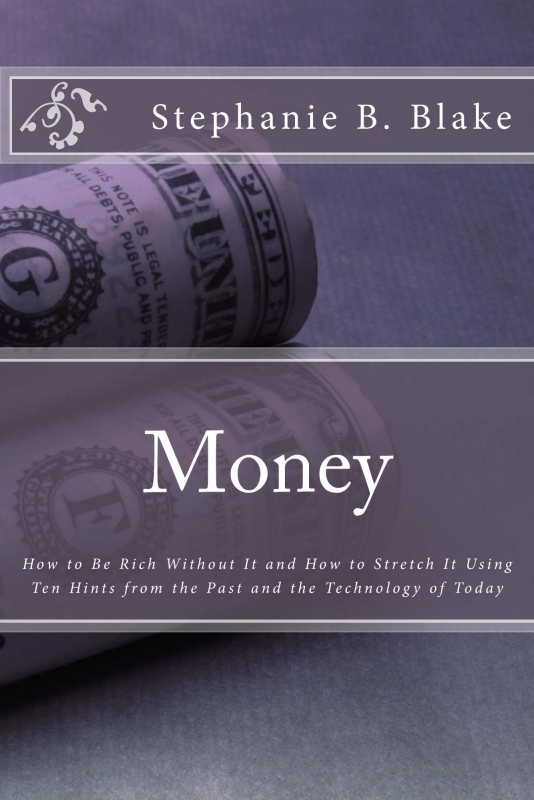 With frugality in her DNA, the author explains her lengthy title in the foreword: “Since your perception of riches has a great deal with how you approach your handling of money, the best starting place is Money, How to Rich Without It. In this book, I talk about millionaires who don’t fit the profile you would normally expect as well as some people I know who are rich beyond description although they don’t have any money. In these two extremes, I found a common denominator: the right attitude toward money. … perhaps it’s time to rethink the wisdom of those who have gone before us. 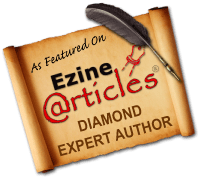 A miserly attitude is not the answer, but because they survived during some very rough times, maybe their advice is worth another look, thus the reason for a look at Money: How to Stretch It Using 10 Hints from the Past. Written from a Christian perspective, the book also includes an overview of what the Bible says about money. It is so easy for life to get in the way of Life. So many things occupy our time and thinking we are tempted to have no focus at all. We just flit from circumstance to circumstance, thought to thought or day to day, never really being grounded in the reality of the truth. Just like looking through a pair of binoculars that has not been focused, everything around us can appear blurred. Life can seem fuzzy, confusing and without purpose. It is when we have adjusted our focus that we can actually see the true image in front of us. The object was there all the time. It was our lack of focus that obscured it. That true image is Jesus Christ, the Son of God. He is the image of the invisible God, the firstborn over all creation (Colossians 1:15). God sent His Son to become the Son of Man so that through His miraculous birth, sinless life, sacrificial death and bodily resurrection, you could have a personal relationship with Him. The only way to come to God the Father is through the truth. “I am the way, the truth, and the life. No one comes to the Father except through Me” (John 14:6). By faith in this truth, you come to understand that God loves you and wants to spend eternity with you. “For God so loved the world that He gave His only begotten Son, that whoever believes in Him should not perish but have everlasting life” (John 3:16). For most of us there is a lot of life left after our new birth. How do we get through day-by-day events – some pleasant and comfortable, many difficult and painful? The only way to handle all the changes and uncertainties of life is to keep your feet firmly planted on the one foundation that is unshakeable and unchangeable. Many people think God is only concerned about the major issues of your life – what college you will attend, who you marry, what career you choose, where you will live, etc. They don’t want to bother God with the minutiae of everyday living. The God who knows when every sparrow falls to the ground and numbers the very hairs on your head wants you to rest in the assurance that He cares about everything in your life. As El Roi (the God who sees me), you can [Cast] all your care upon Him for He cares for you (1 Peter 5:7). If it concerns you, it matters to Him. When you understand God’s desire to be intimately involved in every aspect of your life, it is easy to see His hand in your everyday affairs. You don’t have to understand it all, but trusting Him with the results brings clarity to an otherwise out-of-focus view of life. One Focus – A Daily Encouragement to Keep Your Eyes on Jesus includes the author’s reflections on this reality with the hope that they will help you keep focused on the gift that God has given you – His Son Jesus Christ as your Savior, His desire to have you as a part of His eternal family and His intimate involvement with every detail of your life. You will keep him in perfect peace, whose mind is stayed on You because he trusts in You (Isaiah 26:3). One focus is a choice and it makes all the difference.